There’s now only 93 days until Christmas and we all know what that means – that’s right, time to start saving for my gift! But if you have a web site, may I also boldly suggest something else? 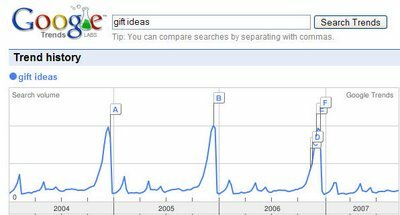 If your site is the sort of site that would benefit from increase sales at Christmas, then right now is the time to be doing some work on your web site to increase its search engine rankings. 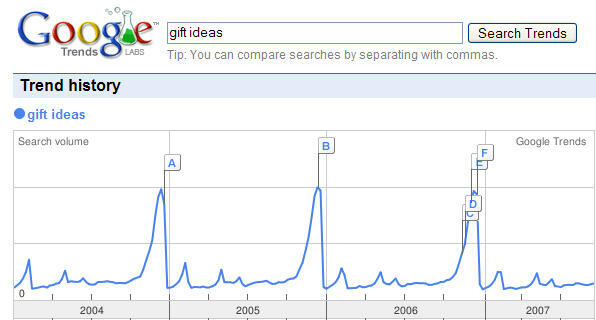 Because come Christmas time (or early November preferably) you want to be top of the searches when buyers come a looking. And you never know who’s searching for what you sell. 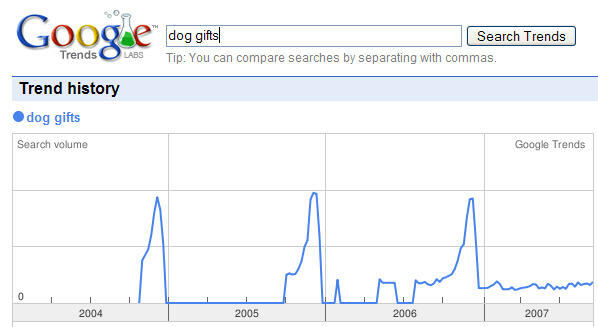 Here’s the search trends for “dog gifts”!